Our Suppliers and Wholesalers are our Best Friends, they provide us and our Brides to be with important flower and supply information. Southern California's best wholesale florists. Just click on the Mayesh Logo and be prepared to make flower decisions galore. Wedding supplies and accessories are as important as the flowers in today's Weddings. Vases, Ribbons, Containers, and a million more items we may need for the big day. Sometimes we only need ideas or samples to help our decisions. 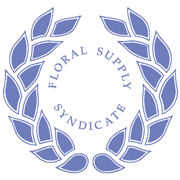 Floral Supply Syndicate will provide for all of these and more, click the logo, browse away. The people we love the most are those that have worked closely with us over the many years we have been providing flowers for Weddings. Family, Friends, Wholesalers, Suppliers, Growers and most of all the Brides to Be. Below is a look at our history here in Southern California, so many Best Friends we have made, we can not list them all. Colton, Redlands, Yucaipa, funded by Wedding projects.